Coffee is an essential elemt for most of the busy people who stay up all night to work and study. While making a cup of coffee seems to be easy, preparing a cup of good coffee is the finest form of art for many. Before illustrating the details, one must be detail-oriented enough to find out what kind of details make a cup of fantastic coffee. In general, the method of brewing coffee, using the right beans and maintaining the equipment well are the three major components. For a cup of fresh coffee, it is better to grind the whole beans right before making coffee. The process must be as timely as it could be because coffee beans’ favour fades away slowly once they are ground. Kitchenware from TheWorks might find everyone a good piece of coffee maker. While the number of coffee beans must be at the right proportion, the temperature also matters. The taste of coffee would be weak if the water was too cold; its taste would be bitter if the water was too hot. After getting the right amount of coffee beans with the right temperature of water, a fresh filter will be needed. Put a dripper on the top of a mug and then insert the filter in the dripper. Once everything is in order, pour in 1/3 cup of water slowly to soak the coffee grounds, so that the coffee will bloom for itself. It is suggested to let the water stay for a minute. This process allows the grounds to release their flavours. After blooming, the rest of the water should be poured over the coffee, so that it will not have a bitter taste. It takes around 3 minutes in order to let the coffee brew after pouring the rest of the water over the coffee grounds. If a coffee maker is used, there is no need to count the time since it will control the percolation time automatically. This is an important step before serving it because the taste will be released during the process of brewing. Right after the long wait, the coffee is ready to be consumed and sugar or milk can be added according to one’s personal preferences. For any leftover, it is possible to drink it later by keeping it warm for not more than 45 minutes. But a cup of fresh coffee is always better than any cold leftover. Brewing a cup of fine coffee always starts with the basics. 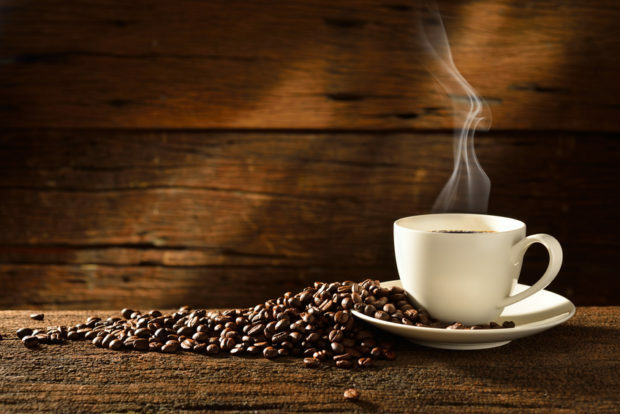 The quality of coffee is affected by many factors–quality of coffee beans, what kind of water, and what kind of coffee maker is used. To cut a long story short, patience is needed in order to make a cup of fine coffee for self-enjoyment.